Mary Fogarty is an Assistant Professor of Dance at York University, Canada. Her work about hip hop dance, film and video appears in the following anthologies: The Routledge Reader on the Sociology of Music (2015), The Oxford Handbook of Dance and the Popular Screen (2014), and Ageing and Youth Cultures (2012). She is the lead facilitator/lecturer for the Toronto B-Girl Movement, a community program that mentors girls and women in hip hop culture (www.keeprockinyou.com). Dance on film has never been more relevant or compelling. From Saturday Night Fever, to Black Swan and the Step Up series of street dance movies, mainstream cinema has engaged, entertained and instructed generations of audiences, young and old, in the power of dance to shape bodies and desires. Music and sound are an indelible part of this phenomenon. Music not only motivates dance, it provides the affect that engages issues of sexuality, gender, ethnicity, power and pleasure, present in the dance. Cinematic dance inhabits a particular set of sound worlds, from the intimate to the epic, that place movement and music in a complex frame of engagement for all the senses. 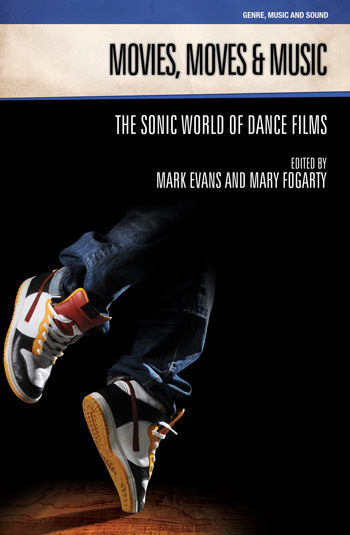 This volume explores the relationships between movement, music and sound as they appear in a variety of screen dance genres. From a historical foundation, Movies, Moves & Music takes a multidisciplinary approach to the consideration of teen dance films, screen dance, pastiches and parodies of historic dance genres, and Bollywood musicals, ending with a phenomenological account of the interaction of the moving body with the world. Films considered include Centre Stage, Flashdance, Across The Universe, 1941, Honey, the Step Up films, and many more. This volume gets to the heart of the impact of screen dance on contemporary culture. Over the last 40 years, while the musical film has faded from its historical high-point to a more isolated and quirky phenomenon, the dance film has displayed refulgent growth and surprising resilience. A phenomena of modern movie-making, the dance film has spawned profitable global enterprises ( Billy Elliot ), has fashioned youthful angst as sociological voice ( Saturday Night Fever, Footloose and Dirty Dancing ) and acted as a marker of post-modern ironic camp ( Strictly Ballroom ). This modern genre has influenced cinema as a whole in the ways bodies are made dimensional, in the way rhythm and energy are communicated, and in the filmic capacity to create narrative worlds without words. Emerging as a distinct (sub)genre in the 1970s, dance film has been crafting its own meta-narrative and aesthetic paradigms that, nonetheless, display extraordinary variety. Ranging from the experimental, ‘you are there’ sonic explorations of Robert Altman’s The Company and the brutal energy of David La Chappelle’s Rize to the lighter ‘backstage musical’ form displayed in Centre Stage and Save the Last Dance , this genre has garnered both commercial and artistic success. Meanwhile, Bollywood has become a juggernaut, creating transportable memory for diasporic Indian communities across the world. This is an entire industry based on the ‘dance number’, where films are pitched around the choreography, where the actors are not expected to sing, but they must dance. This series of essays investigates the relationship between movement and sound as it is revealed, manipulated and crafted in the dance film genre. It considers the role of all aspects of sound in the dance film, including the dancer generated sounds inherent in Tap, Flamenco, Irish Dance and Krumping. Drawing on significant post-War dance films from around world, Movies, Moves and Music comprehensively surveys this mainstream genre, where image and sound meet in a crucial symbiosis. Much scholarship on dance film neglects the significant role of music and sound contained within these films. This disconnect is related to the ongoing absence of the instrumental role of music in dance analysis. Dance scholars have taken music seriously from a variety of diverse perspectives (e.g. Jordan, 2000; Garcia, 2009; Johnson, 2012; Dodds and Cook, 2013). Yet, in dance studies broadly organized, there is a lack of musical focus on ‘entertainment’ dance films as a result, in part, of the general dearth of research about dance within ‘commercial’ entertainment and the music industries. This is compounded by the centrality of music in the latter. 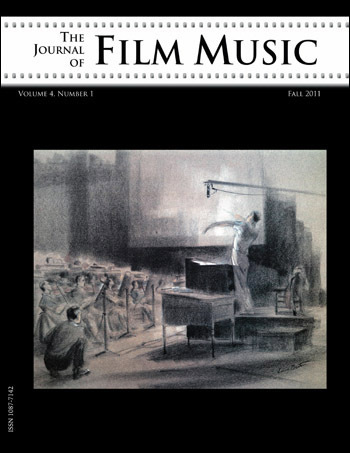 In this chapter, music and sound are considered to be central to the significance of dance in both popular dance films and the avant-garde traditions of screen dance. of the College of Fine Arts & Communication at Towson University. 1992), and The Fifties: Transforming the Screen (Scribners, 2003). Exactly where (and when) we locate the birth of screendance may not be particularly important or beneficial. What seems more important is to define screendance in greater detail and to continue to differentiate it from other forms of media which present recorded dance. This task will prove a bit awkward since the screendance canon, as it developed, presented many and often inconsistent definitions, descriptions, labels, and explanations to separate mainstream musical/dance films, dance documentaries, and archival records of proscenium performances from this other “screendance” category. Two of the earliest labels applied to the screendance include ‘choreocinema’, and ‘cine-dance’. As video production superseded film production, the number of labels exploded: Dance for Camera, Dance for the Camera, Dance on Camera, Dance with Camera, Choreography for the Camera, Dance on Screen, Video Dance, Dance Film, Film Dance, Dance 4 Film, Moving-Picture Dance, and Screendance. An excursion into some of the terminology will shine a curious spotlight on this convoluted semantic and theoretical arena. The relationship in street dance films between cinematic sound (including music, effects and dialogue) and dance moves reveals a tension between production and reception, representation and labour. The film being exhibited always encounters the possibility of external sounds, especially those created by the cinema audience itself, resulting in the co-creation of an event, a temporal experience sounds different each time and thus is never duplicated. Street dance films frequently include performances by top dancers in international street dance scenes whose cultural capital stands in some contrast to the status of the films themselves. That is to say, while hip hop music is now taken very seriously by fans, critics and scholars, street dance films, packaged as supposedly trivial forms of Hollywood light entertainment, are not taken seriously at all even with their documentation of the talents of top dancers. Through ethnographic and sonic analysis of these films and their reception, this chapter reveals both the reflexive and hidden relationship between these popular, commercial movies and hip hop culture more generally. Aesthetics and Style (2013) and Shane Meadows: Critical Essays (2013). The hip hop teen dance film flourished in the 2000s. Drawing on the dominance of hip hop in the mainstream music industry, films such as Save the Last Dance (Thomas Carter, 2001), Honey (Billy Woodruff, 2002) and Step Up (Anne Fletcher, 2006) combined the teen film’s pre-existing social problem and musical narratives. Yet various tensions were created by this interweaving of representations of post-industrial city youth with the utopian sensibilities of the classical Hollywood musical. These narratives celebrated hip hop performance, and depicted dance as a bridge between cultural boundaries, bringing together couples, communities and cultures. These films used hip hop to construct filmic spaces and identities while fragmenting hip hop soundscapes, limiting its expressive potential. This chapter will explore the hip hop teen dance film’s celebration of, yet struggle with, hip hop by examining the soundscapes of particular films: specifically the interactions between sound, narrative and form. It will engage with these films’ attempts to marry the representational, narrative and aesthetic meanings of hip hop culture with the form and ideologies of the musical genre, particularly the tensions and continuities that arise from this engagement with musical utopian qualities as identified by Richard Dyer (1985). Brian Su-Jen Chung is an Assistant Professor of ethnic studies at the University of Hawaii at Manoa. His current work focuses on suburban landscape design, public cultures, and Chinese global capital in the making and cultural memory of the region known as Silicon Valley. Afia Ofori-Mensa is Director of Undergraduate Research and Visiting Assistant Professor of Comparative American Studies and Africana Studies at Oberlin College. Her work engages with narratives and cultures of communities of color in the twentieth- and twenty-first-century U.S. Her primary research interests are in ethnic studies, American studies, women’s and gender studies, and popular culture studies. Her current book project, How to Win a Beauty Pageant, examines relationships among femininity, race, and U.S. national identity using beauty pageantry and princess culture as case studies. She is also a photographer; her piece “The Winner” was exhibited at Oberlin College in 2012. The purpose of this chapter is to illustrate relationships between race and social mobility in the early twenty-first-century United States of America, by examining how those two phenomena operate in the cinematic narratives of the popular hip hop dance films Step Up and Step Up 2: The Streets. Within those narratives, we analyse visual, verbal, and aural components of the films—where ‘verbal’ refers to the content of what characters say in monologues and dialogue, while ‘aural’ refers to the sounds of characters’ voices, music, ambient noises, and silence. A careful analysis of those components in tandem reveals how the films instruct audiences about race and social mobility through the discourses of colourblind meritocracy. Colourblind meritocracy refers to the evaluation of individuals on the basis of the quality of their performance and decidedly not on the basis of their race. Colourblind meritocracy’s overwhelming emphasis on performance and aptitude serves to elide the structural workings of privilege, which produce uneven life chances based on social identity across generations. Simultaneously, the notions of quality and aptitude are themselves not objective but rather designed to favour the racially privileged. The discourses of colourblind meritocracy at the heart of the narrative in Step Up and Step Up 2: The Streets, present a fallacious moral lesson about urban cultures of the U.S.A—that performance and aptitude, not race, determine social mobility. Diane Hughes is Senior Lecturer in Vocal Studies in the Department of Media, Music, Communication and Cultural Studies at Macquarie University. Her research interests include the singing voice, pedagogy, film and sound, recording practices, the music industries and popular music. She is the President of the Australian National Association of Teachers of Singing (ANATS Ltd). Produced in 2003, Honey (Woodruff, 2003) is a dance film, featuring ‘behind the scenes’ music video production, in which the low socio-economic urban neighbourhood is juxtaposed with the affluence of the commercially oriented music business. These contrasting worlds are inextricably linked through shared commonalities of dance moves and musical beats in which the human body is portrayed as the expressive instrument. Featured choreography, predominantly commercial in style, draws on the energy and rhythms of ‘hood’ life and play. Pivotal to the film’s energy are the driving percussive and rhythmic qualities that culminate in a multifarious dance style finale. Honey is essentially a ‘backstage’ formulaic dance film and yet, even if at times predictable, it is also unique. Honey builds credibility through its exploration of ‘hip hop’ music and dance. Incorporated in ways to aid expressivity and cohesion, the relationship between sound and movement is consistently explored and crafted with the cinematography and music both serving to underscore such contrasts as street and club, video production and ‘live’ sequences. Contemporary industry professionals, with video and music production credentials, craft the choreography and musical elements. Adding to this ‘street cred’ are the cameo roles of featured artists. Supported through creative direction, it is the interplay of sound and movement that forms Honey’s essence and momentum. Kelly Kessler is an Associate Professor of Media and Cinema Studies at DePaul University. Her work largely engages with issues of gender and genre in American television and film. Kessler’s book, Destabilizing the Hollywood Musical: Music, Masculinity, and Mayhem, explores the gendered ramifications of the genre’s shift in the latter part of the 20th century. Her work can also be found in journals and anthologies such as Television and New Media, Cinema Journal, and Feminism at the Movies. The American motion picture industry had all but abandoned the integrated musical by the early 1980s. However, teeming with youthful stars and filled with an angst that could only be resolved by dancing it out to jamming underscored beats, non-integrated dance musicals like Flashdance (Adrian Lyne, 1983), Footloose (Herbert Ross, 1984), and Dirty Dancing (Emile Ardolino, 1987) helped the otherwise lacklustre musical take hold once again. Focusing on the three aforementioned dance films, this chapter examines both the visual and aural trends in these films and how they ultimately come into play with—and largely eschew—the norms and perhaps resultant ideological goals of what I will term the more classical song and dance Hollywood musicals which found greatest prominence prior to the mid-sixties. While these later films all present feuding social groups which ultimately find some kind of musical and communal harmony their combination of visual and aural choices work against that narrative project. Perhaps made more to benefit the soundtracks and music video tie-ins than their films’ narratives, these stylistic choices produce a disconnect between the aural and visual tracks that works against the creation of an image of gracefully or passionately dancing bodies and the utopic possibilities implicit in the more classical Hollywood musical. Gillian Turnbull holds a Ph.D. in ethnomusicology from York University. Her research focuses on Western Canadian roots and country music, and issues of independence, western identity, and community. She is the author of the forthcoming book, Roots Music in Calgary, Alberta, co-editor of the forthcoming anthology, Grassland Sounds: Popular and Folk Musics of the Canadian Praries, edits the Canadian Folk Music bulletin, and teaches at Ryerson University in Toronto. This chapter argues that the employment of popular music throughout Center Stage functions to break the impenetrability of ballet, securing its place within a more commercial (or lowbrow) mainstream, while elevating popular music to the role of reconstructing ideas about classical dance. It also explores how genre determines individual and sexual expression, manifested in the overt declaration of masculine and feminine identities in movement and in the use of alternative gestures in classical ballet, which similarly disrupt conventional notions about ballet traditions. Rock and pop music further enable the characters in Center Stage to use alternative gestures in order to disentangle the standard gender roles that still dominate ballet. This chapter analyses the nature and representation of Lindy Hop/Swing dancing and its accompanying music in Stephen Spielberg’s 1941 (1979). In particular, it compares the subcultural contexts of the ‘zoot suit’ phenomenon in early 1940s’ US society with the nature of the scenario and narrative presented in the film. In order to provide historical context, the chapter details the origins of Lindy Hop/Swing dancing styles in the 1930s; the nature of the Mexican-American pachuco culture that was central to zoot suiter oppression in California (and other areas of the US) in the early 1940s; and aspects of the cultural climate of late 1970s’ North America relevant to the film’s production . The chapter also analyses aspects of the production team interviews included in the feature length ‘Making Of’ documentary (1995, Laurent Bouzereau), illuminating and extending our textual analysis of the original film through analysis and critique of the producers’ discourse on the film and its critical reception. Colleen Dunagan is an Associate Professor of Dance at California State University Long Beach. Her writing about dance in television advertising and film has appeared in Dance Research Journal and The International Journal of Arts in Society. She has contributed to The Oxford Handbook of Dance and the Popular Screen (with Roxane Fenton) and The Oxford Handbook of Dance and Theatre. 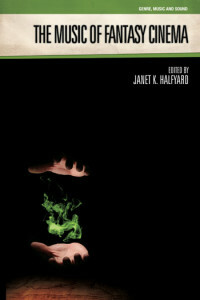 Her current book manuscript examines the discourse of dance within television advertising. Roxane Fenton received her Ph.D. from the University of California Riverside. Her other work on dance films has appeared in The Oxford Handbook of Dance and the Popular Screen (with Colleen Dunagan). She is a member of the dance editorial advisory board for the Routledge Encyclopedia of Modernism, and she has taught dance history and appreciation at a number of colleges and universities. In her 2007 film Across the Universe, director Julie Taymor combines a simple narrative of youthful love with a complex layering of visual and aural elements. The sophisticated interplay among the music of the Beatles, film work (camera and editing), dance, and other visual elements makes the film a rich site for the investigation of ways in which movement, music, and movie making work together. Through close readings of several songs/scenes from the movie, we argue that the merging of sound and image in Across the Universe activates nostalgia (both for the U.S. in the 1960s and for the mythology of the Beatles) in order to create a visual and aural tribute to the philosophical outlook conveyed in the Beatles catalogue. Or, to put it differently, the film argues that the pop music of the Beatles (a commercialised and commodified form) offers larger philosophical lessons relevant to American history. It suggests that love, both romantic and within a community of friends, provides an answer both to the turbulence of the 1960s and the unsettled world of the post-9/11 era of the film’s release. Usha Iyer is Lecturer in the Film Programme at the University of West Indies, St. Augustine. Her work focuses on dance and female stardom in popular Hindi cinema. She has an essay on the Hindi film dancer-actress, Madhuri Dixit, forthcoming in the journal, Camera Obscura, and her essay on Hindi horror cinema has appeared in the edited volume, Figurations in Indian Film. Contemporary Bollywood cinema is marked by a proliferation of references to earlier Hindi films. Pastiche, tribute, and parody are familiar structuring principles, the very profusion of these intertextual devices pointing to a certain kind of ‘memorialization’ in this self-reflexive cinema. Analysing the political economy of the repeated cinematic sign in light of India’s globalizing economy allows for an exploration of the nature of Bollywood cinema’s investment in the past. Given the extensive quotation in its films, and the recent interest in remakes and tributes, the principal questions of this essay are: what kind of narrative does Bollywood produce about itself through this intertextuality and, what is its investment in producing this account? One of the most striking forms of intertextuality in Bollywood films are the song-and-dance sequences, composed of a collage of earlier styles of dance, music, choreography combined with mise-en-scene. In discussing the cultures of memory evoked and enlisted by the Bollywood film, this chapter will focus on the historicity of remembering and forgetting, that is, at what points certain films are remembered and others forgotten, and what that tells us about the current cultural moment. Megan Anne Todd received her Ph.D. in Theatre/Performance of the Americas (Arizona State University). She has published in the Journal of Pan African Studies, Theatre Journal, Journal of Bodywork & Movement Therapies and is happy to be a part of this collection. Dr. Todd lectures, teaches and develops curriculum in the areas of performance studies, cultural studies, dance, somatics, pilates, yoga, kinesiology and injury prevention/post-rehabilitation. She is involved in ongoing performance-based research and artistic projects in the areas of social justice and wellness. Situated squarely at a crossroads between fashion photography, documentary, MTV-like video, and the genre of dance film, Rize maps the sonic and visual terrain of the dance styles of clowning, krumping and stripper dance, taking the viewer on a journey to the inner city of South Central Los Angeles through the lens of Hollywood. Fashion photographer, David LaChappelle, uses his compositional skills to situate these fresh hip hop dance styles in a way that creates visually striking scenography contrasting vivid colours against scenes of urban decay and sonic compositions that flow between the words of the dancers, beat heavy tracks and appearances of some big voices from the music industry. Although dance is framed clearly as a positive force within the lives of the dancers and the communities of South Central, Rize raises many vital critical questions but leaves them un-tethered to any type of critical engagement. In many instances, the film relies heavily on imagery montage to create vital critical commentary on many of the vexed issues which it highlights. This chapter hopes to create a critical framework for many of the political issues this film raises but does not address. Sarah-Mace Dennis is an artist/ filmmaker and independent scholar based in London. Her work, although interdisciplinary, primarily focuses on the intersections between critical and creative writing, video and performance. In 2008, after a serious car accident, she sustained a very severe brain injury, which left her mentally and physically paralysed. She attributes some of her recovery to the hours she spent dancing to songs written by seventies punk band The Clash. During a near fatal car accident in 2008, I sustained severe brain trauma, which for some time left me physically and cognitively paralysed. In the weeks and months following the neurological fallout, I interacted with the environments that surrounded me through a succession of non-ordinary states of consciousness. Mondo Ghillies (Dennis, 2010) – the short dance film that followed this – is a practical and experiential unfolding of the subjective and perceptual atmospheres that I came to see and hear as I moved through the world with a severely altered neurological architecture. Experiencing physiological and mental paralysis allowed me to develop a deep theoretical and corporeal understanding of what architects and philosophers Madeline Gins and Arakawa (2002) call the thinking body.